Like many photographers, I’m always trying to polish my craft and grow my talents when it comes to both photography and retouching. Tutorials are plentiful on the internet, and sometimes overwhelming with the millions of videos, articles and PSDs. 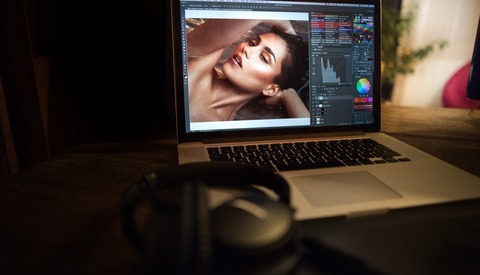 However, I found an unique way to improve my retouching considerably, from an unusual place that I'd never expect. Dodging and burning is the one retouching practice that I do to every image I touch. For those who are unfamiliar with the practice, what dodging and burning is is applying contrast to your image selectively. When done well, you can subtly reshape objects in your image to either bring them to the attention of the viewer, or hide them from others to see. If you’d like to learn more about this practice, I highly recommend Elena Jasic's article on it just a few months ago. This is the image I came across, and immediately began applying the idea to my images. By identifying the face shape of your subject, you’re able to contour the face correctly, making a cleaner and more visually appealing image. I found the subtle changes on where to add or subtract highlights made for a huge difference in the image. As an example, I've gone ahead and applied all of these retouching principles on an image I recently took. Britney Simerson is a model that helped me with a lighting workshop that I recently taught in West Michigan. Though this image is not shot straight on, it's pretty apparent that she has an oval shaped face. So when I began to dodge and burn this image, I kept that in mind and used the Oval makeup design as a frame of reference for her face shape. Now at first glance, I recognize that the differences between the images are pretty minor. However, that is just your mind playing tricks on you. So instead of looking at them side by side in a collage, lets put them together as a gif. With the gif, the changes within the Dodging and Burning process are far more noticeable. Using these makeup guides, you're able to correctly apply dodging and burning to your images, or using other face shape methods, completely reshape the face of your subject. Now when you are around your lady friends you can tell them how bad they did on makeup. Should go over great. "If I was you, I would have highlighted XXXX of my face more. It doesn't seem you considered this natural lighting situation we are in"
Girls love that kind of advice. Agreed. Understanding what a makeup artist does helps in the retouching process. There is a makeup book that I recommend, Making Faces by Kevyn Aucion. Zach, thank you for the workshop. I was very enjoyable and I personally learned a lot. didn't you just copy this from another website? I did not. This is all original. Zach, I really really enjoy your articles and the effort you put into them, thanks for sharing. Your portfolio shows amazing talent. Looking forward to your next post. The gif at the end is a home run. Great article. Thank you. Good article... however once again I'm amazed that the obvious has to be pointed out so many times. That is: photography is an ART form. Painting with light, light and shadow, shadows tell the story... these are all taken from basic ART classes. How convenient that Makeup ARTISTS get to have that in their title. 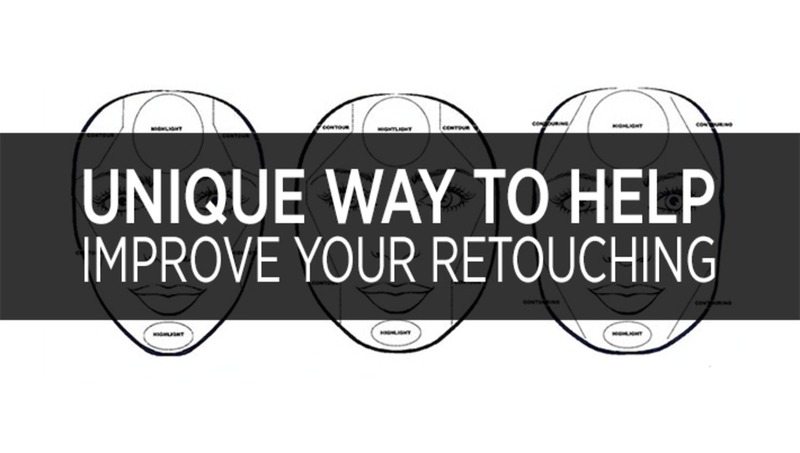 And if you are a retoucher... you are using a "brush" as well, aren't you? That should hint at something deeper than just knowing the technicalities of creating the "perfect photo", which BTW doesn't truly exist because in all things creative, it's subject to individiual taste. If you have never attended any art classes of any kind, specifically those dealing with what ever subject you photograph, whether it is the human form, architecture, still-life, etc., well... you should.... today! Only knowing the tools and techniques of the trade, does not make you an artist. And is that not the ultimate goal? Unfortunately, I guess even I have to admit that photography today is seen as a means to make money first and foremost and as fast as possible. That's a sad and skeptical response I suppose, but those that have read at least this far... maybe just maybe they attain to be a photo artist. In that case my one and only tip... learn ART. So which face shape shading do you think is the winner? Yeah, I was wondering somewhat the same thing. Is there a reason to choose one shape over the other? I can image there are shapes that express friendliness or evil (like what Disney uses in their character design) but these adjustments seem very subtle. I determined her face was considered oval in the article based on looking at he cheeks and chin position. the gif at the end was a life saver, I couldnt tell the difference in the stills. Thanks. 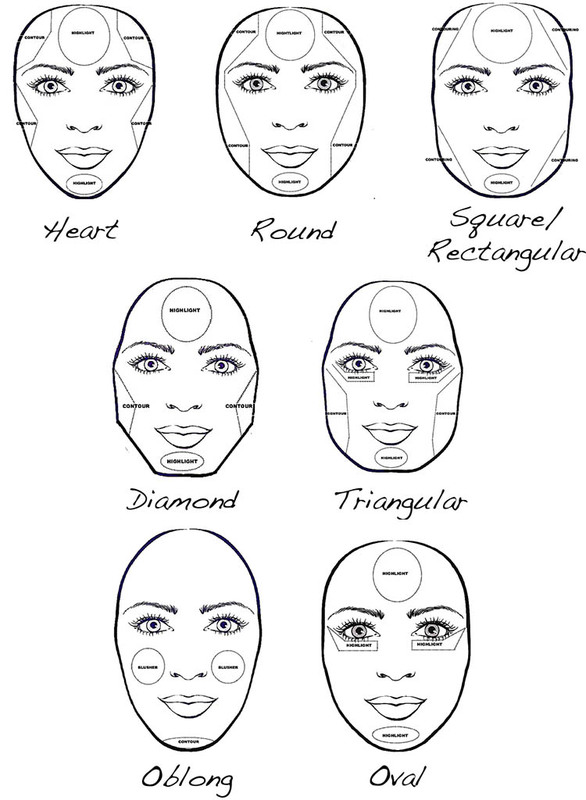 One thing that surprises me is there's no nose shaping in the diagrams, which is a normal part of contouring and highlighting. I did a makeup course to help with my retouching.. and for those times when I just can't get a MUA. Can you slow the GIF down? It sort of defeats the purpose by running it that fast.